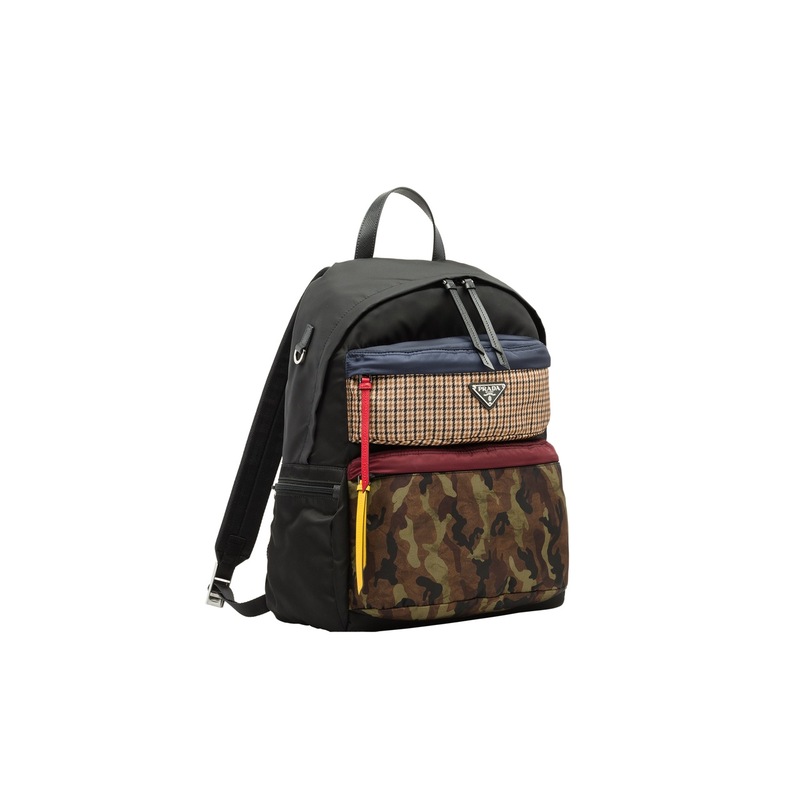 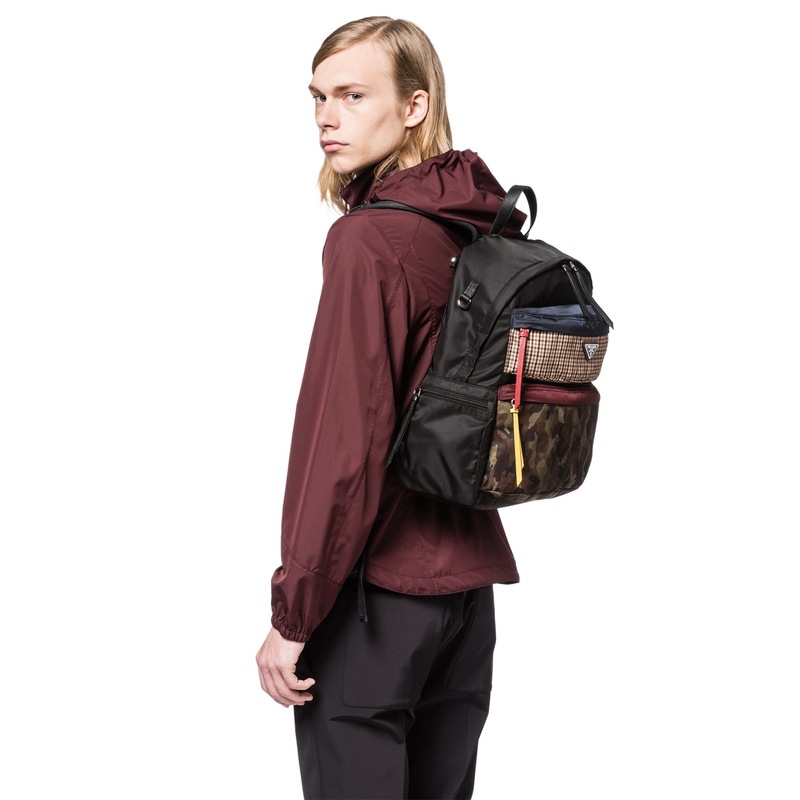 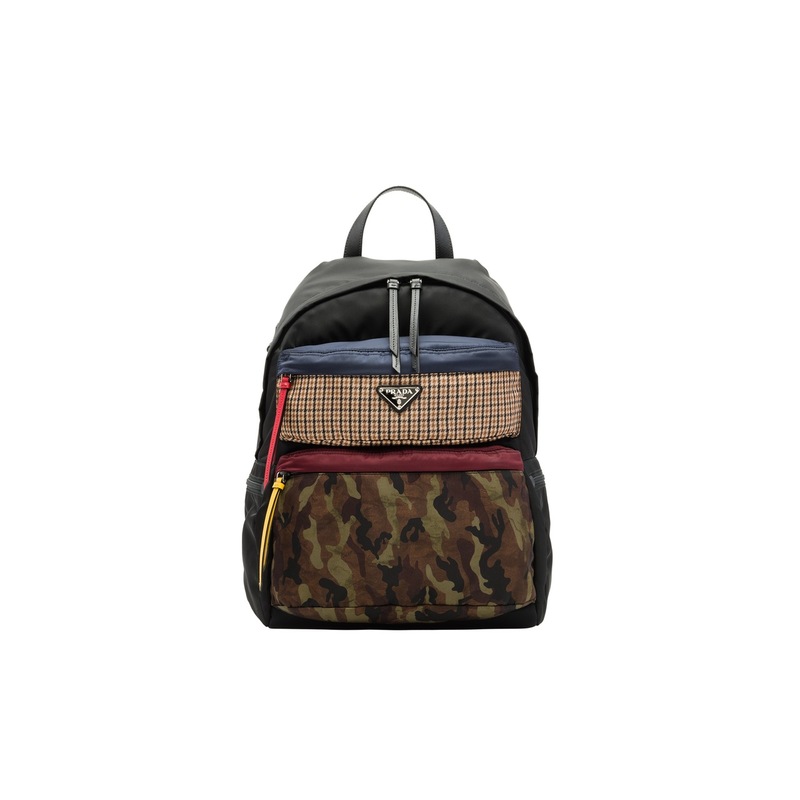 This printed technical fabric backpack has a sporty vibe and a combination of motifs. 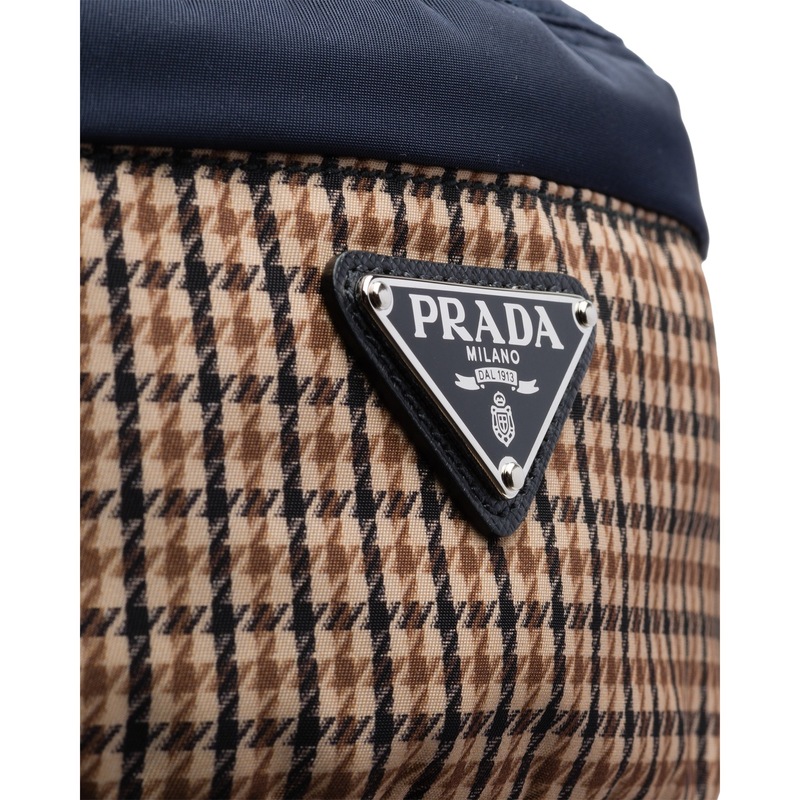 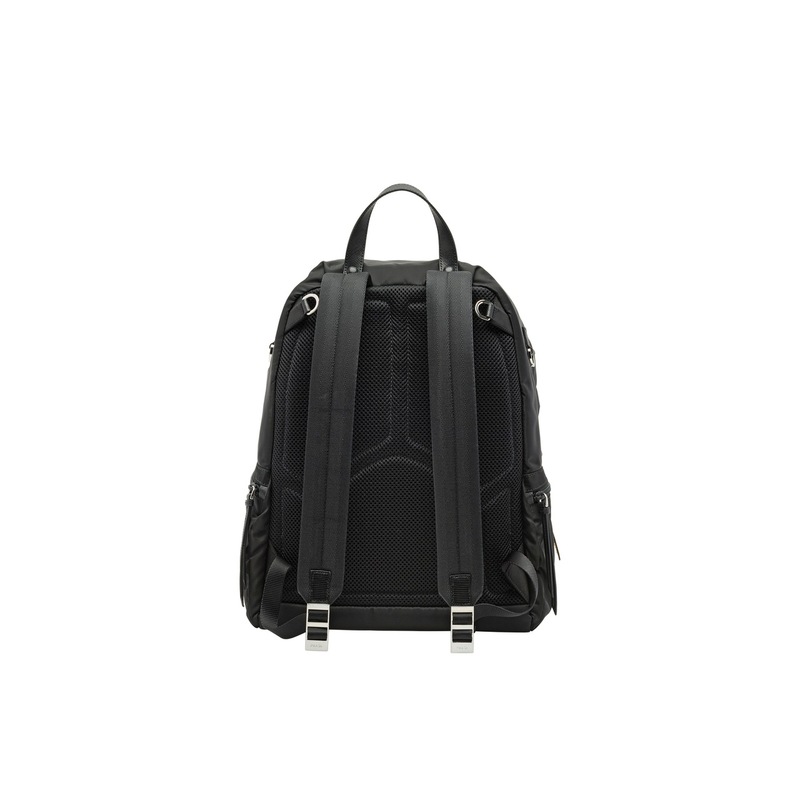 Metal hardware and a Saffiano leather zipper pull characterize the backpack. 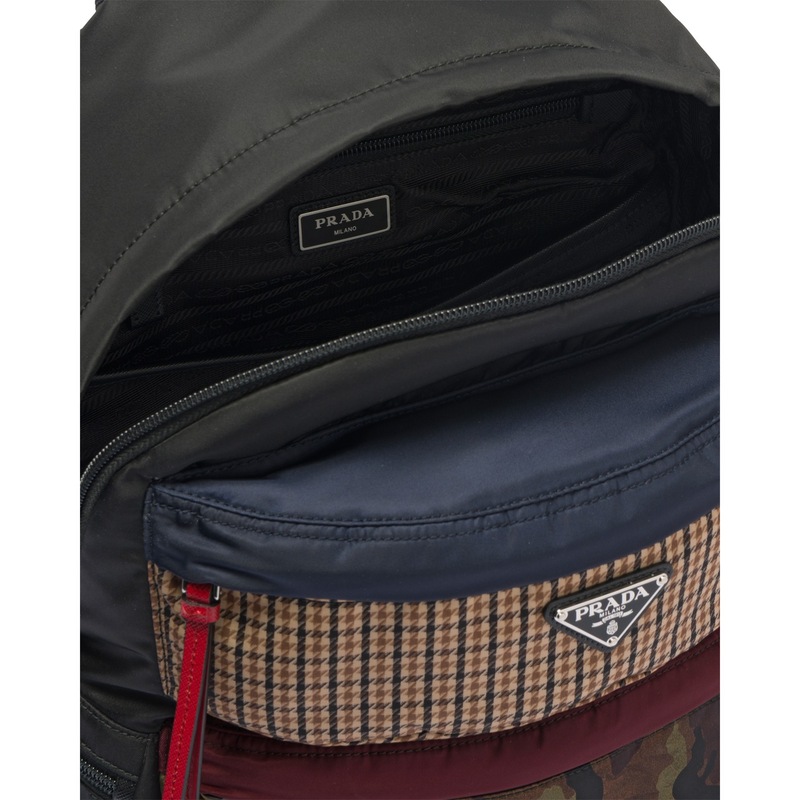 Several pockets ensures its functionality.